Join us on Thursday, November 15, for the Salesforce Basecamp for IT event. We’ll have an action-packed day between the keynote, thought leader, customer panels, demos, and networking reception. 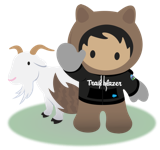 Don’t miss this chance to hear from and exchange ideas with Denver-based Trailblazers and Salesforce executives.